It pains me to say that I learned science the tedious way – by sitting in a classroom and learning by rote. 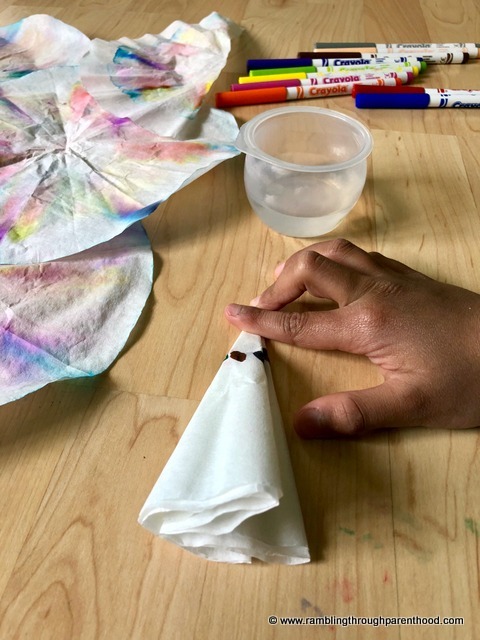 Science is best learned by doing – simple, everyday items can be put together to explain a concept. 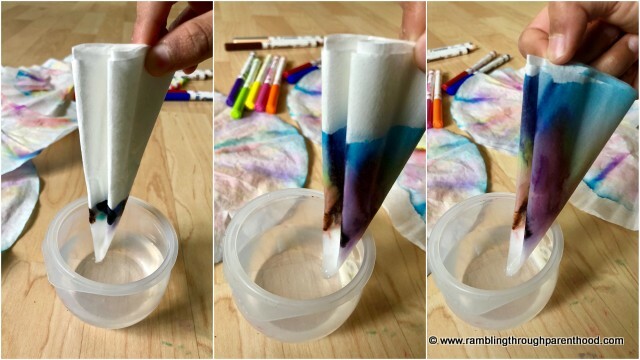 Science experiments can be messy but importantly, they make science interesting and a lot of fun. Most kids enjoy mixing colours. Have you ever wondered about separating colours? Well now you can. 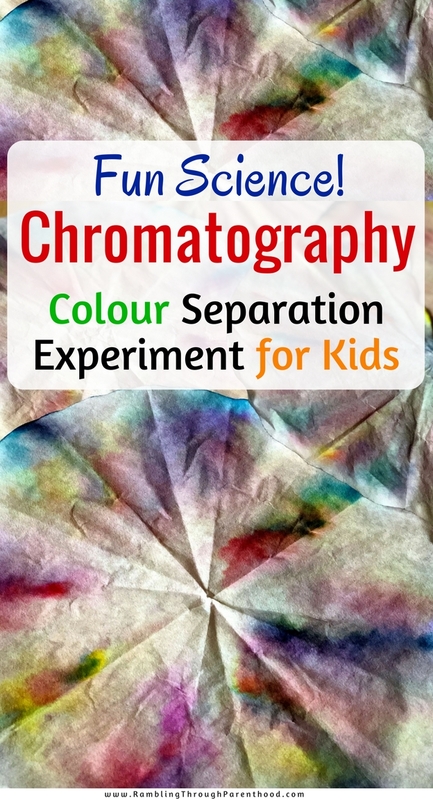 Here is a simple experiment kids can do to get a hands-on experience of chromatography - the science of separating colours. 1) Use a pencil to draw a circle two finger spaces away from the centre point of the filter paper. 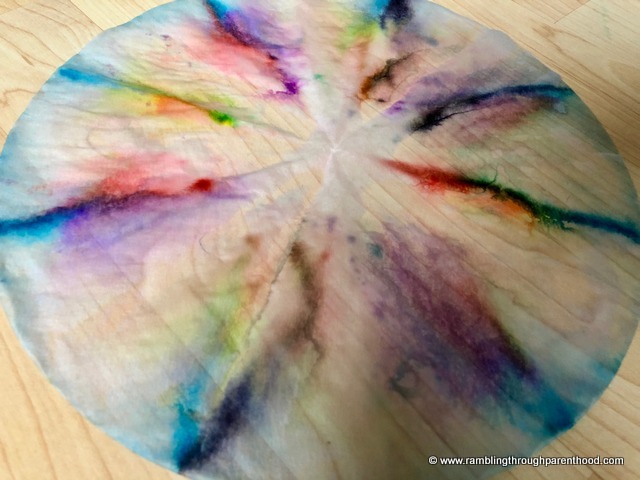 2) Now mark the filter paper with markers of your choice along this inner circle. Use a single colour, two colours or a rainbow of colours like we did. 3) Fold the paper into a cone by folding it four times. 4) Dip the pointed end of the cone into the cup of water, making sure the tip is immersed in the water. Make sure the colours do not touch the water, or they will run out into the cup. 5) Wait for the water to reach the colours and watch it rise. 6) Once it reaches the top edge, remove the filter paper out of the water and open it carefully. 7) Leave it to dry. 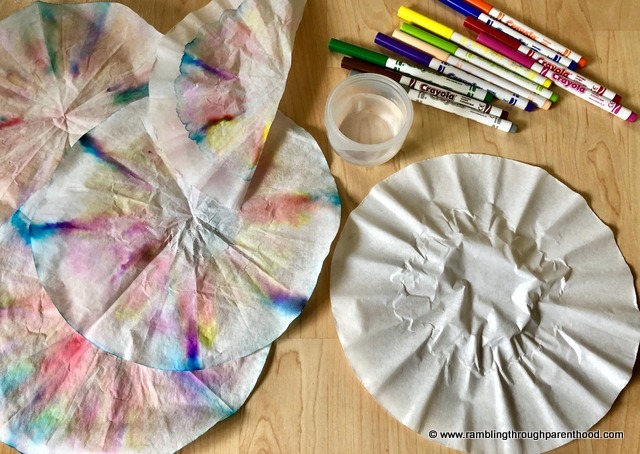 8) Repeat with more filter paper using different combinations of colour pens. Water ‘runs’ up the filter paper, rapidly at first and then more slowly. All the colours got mixed up so that they were not in the place where we had dotted them at the start. 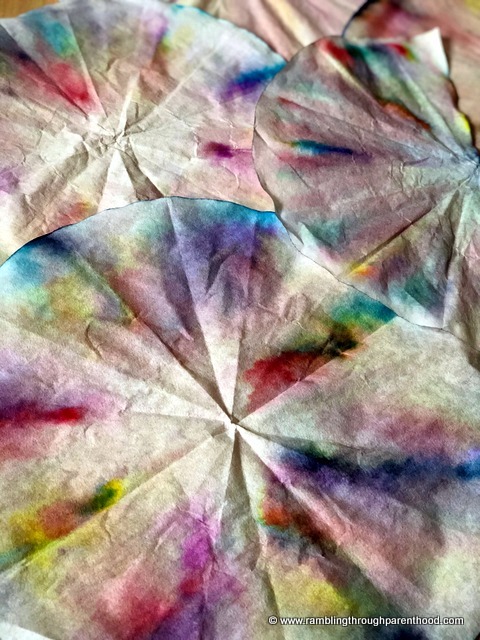 Why do colours look lighter once they spread over the filter paper? Can we try this experiment with other types of paper like card or newspaper? 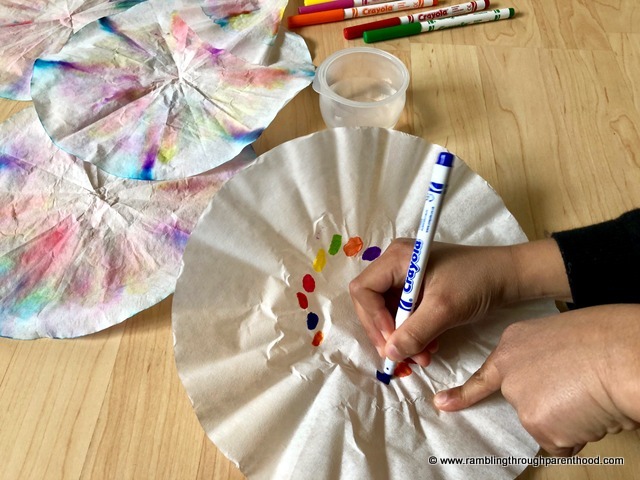 Use the colourful pieces of filter paper to get creative. Scrunch them, tie them and string them as flowers. Hang them with pipe cleaners to make butterflies. Or if you have a child obsessed with aircraft, cut them into rectangles and fold them into paper planes! Let your child lead the experiment. There is no right or wrong. It is all about learning by doing. It is about kindling their curiosity and a life-long love of learning. Disclosure: This post contains affiliate links to make shopping easy for you. It doesn't cost you anything extra to shop through my links. It just means I will earn a few pennies towards the upkeep of this website.